It’s Germany’s capital and cultural hub, a place well known for its nightlife, urban flair, and modern architecture -- it is Berlin. Whether you’re there for a visit, or as a resident of this awesome city, you’ll be happy to know there are tons of amazing green spaces to lay down your mat, or go mat-free for a more organic approach. Here are 5 of the most beautiful places to do yoga in Berlin. 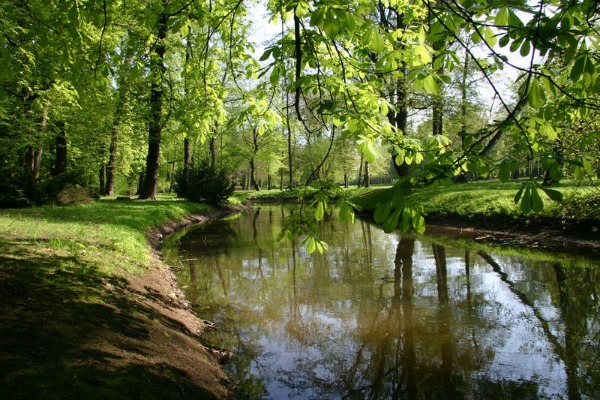 The Schlosspark in Pankow is a great place to absorb nature, and spread out in the green open space. With 39 acres of room to roam, Castle Park Niederschönhausen won’t disappoint the yogi with wanderlust. 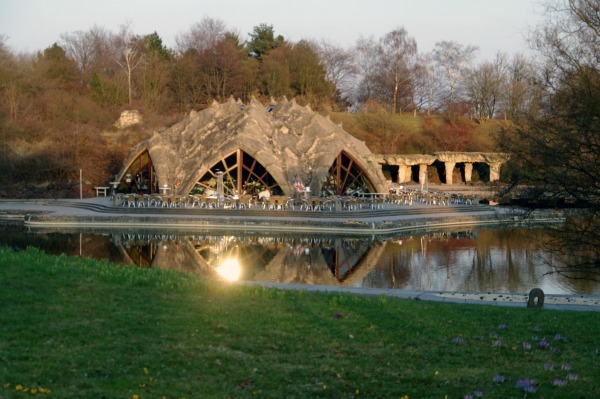 The Britzer Garten is a stunning space where yogis will find 250-acres of park in which to play. On the grounds of Schloss Britz (the Britz Palace), known as the Britzer Garten, you’ll find hills, lakes, and vast green plots of earth. But the best part: the fragrant floral displays, beds of roses, and more than a half a million tulips that arrive every spring. 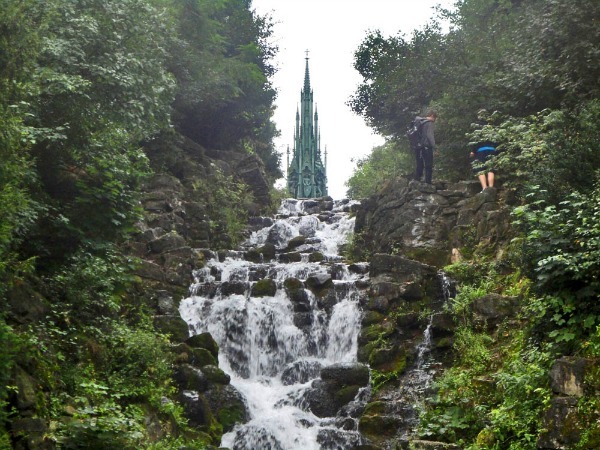 Among the most magnificent parks in Berlin, Viktoriapark is a place for the adventurous yogi who enjoys a good Crow Pose or Wheel on a wedge of raw stone overlooking a waterfall. Don’t go without your camera, because you’ll find countless photo ops in this impressive park. One of the best things about Berlin is that it's surrounded by lakes, so you're never too far from the water! In the summer when the weather's warm, head over to the Schlachtensee to get your asana on. 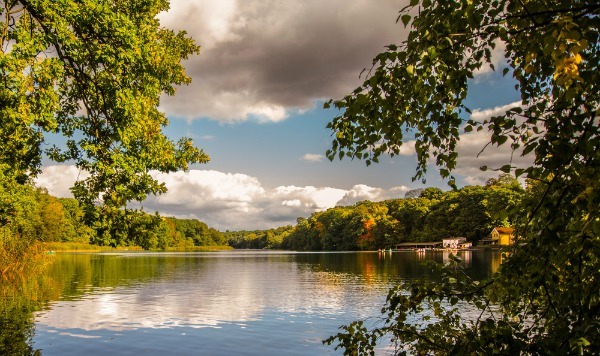 A lake surrounded by a forest path, you'll see people walking dogs, riding bikes, just hanging out, or swimming. So practice some yoga and then hop in for a swim! For the yogi who likes the feel of sand beneath their feet, Strandbad Grünau is a charming place to practice. Tucked away in the former East Berlin, the deep water in Strandbad Grünau is ideal for swimming after a sweat session on the sand. Take a trip and be sure to dip! Have you been to any of these awesome places in Berlin? Tell us where you like to go to get your yoga on in the city. Leave a comment below!